The iOS app is compatible with iPhones, iPads, and iPod touches running on an operating system of 8.0 and above. Device models older than the iPhone 4s, iPod touch 5th generation, and iPad 2 will not be able to run 8.0. 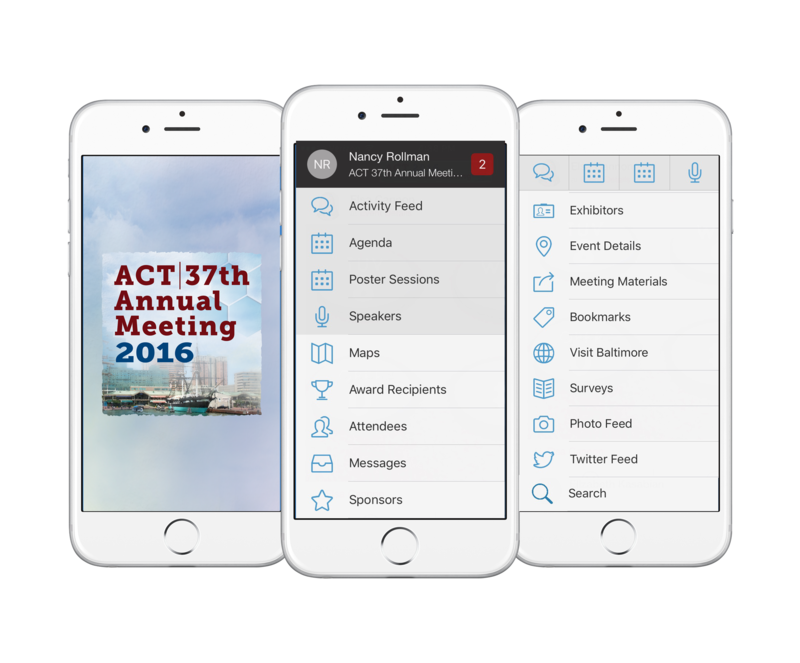 Open the App Store app and search for the app by entering ACT2016. Press the Free or Install button. The Android app is compatible with Android phones and tablets running on an operating system of 4.2.2 and above. Open the Google Play app and search for the app by entering ACT2016. Select Download and open the app after the download has completed. Note: The app is developed for Android 5 and higher (older Android versions have very limited disk space and may prompt to delete other apps on the device before installing a new app). HTML 5 is a web-based application and can be accessed on a web-browser (optimized in Chrome) used for desktops, Blackberrys, and Windows phones. Open the browser on the computer or device. Password: You may be prompted to enter your user name and password. ACT Member registrants use their ACT membership login credentials to gain access. ACT non-member registrants use their email and password used to register for the meeting to gain access. At any time, use the password reminder on the ACT website login to have your password sent to your email address (the email address used to register for the meeting). Please note that if your password is less than six digits or characters, add zero(s) to the end up to six. Support: Attendees can access the DoubleDutch attendee help center. Support is available from ACT Staff before the meeting at acthq@actox.org and at the help desk in the regsitration area during the Annual Meeting.